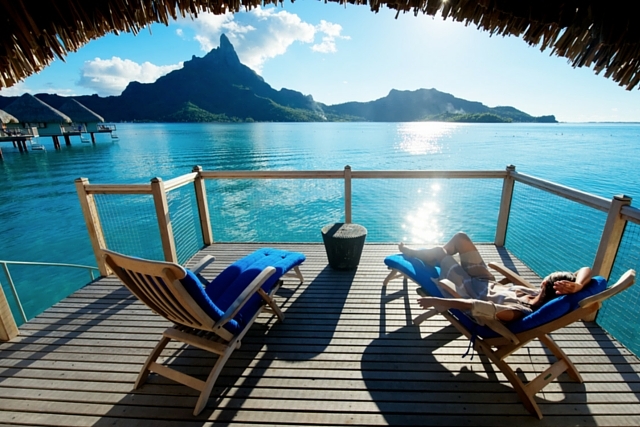 Which beautiful location in Bora Bora will you propose in? A Bora Bora proposal, with a backdrop straight out of a great love story, will be a moment to smile about for the rest of your lives! Intoxicating Bora Bora is the island of romance! So if you're planning on asking your beloved to marry you, this is the perfect place to do it. You have chosen the perfect vacation to propose, now here are some perfect Bora Bora proposal ideas, in locations that are so romantic, they will cast a spell over her and she won't be able to say no! 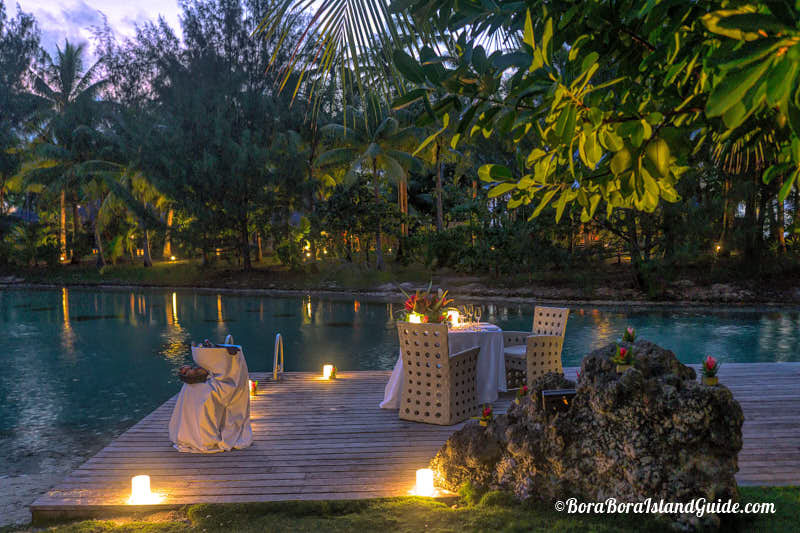 The best resorts in Bora Bora offer guests the experience of a private dinner for two set in a secluded location in the resort with tropical flowers, candles and your own personal waiter. If you are planning to propose over dinner on the beach you will want to get in touch with your resort prior to your trip to book this unique experience. Some resorts even allow you to select your menu from options available so you can choose a menu you know your loved one will like. The larger resorts can set up this romantic experience in a few locations around the resort like the beach, a islet off the beach, the spa grounds, or the inner lagoon. Reserving your dinner early ensures you have the first pick of the best location. I had the joy of experiencing a surprise Bora Bora proposal over a St Regis private dinner on the beach. The lookout at the top of the Sofitel's Private Island is breathtaking. You walk up steps through exotic tropical gardens to be surprised by enchanting 360 degree views of Bora Bora, the lagoon, and Mt Otemanu. An island-style shelter or a choice of 3 natural wood, viewing platforms with dramatic views could be used to set the scene. Talk with the Sofitel if you want to create a special setting that includes fragrant tropical flowers, champagne, and anything else that enhances the magic moment for you. Sailing around Mt Otemanu, on the most beautiful lagoon in the world, watching the sun slowly set, is one of the most romantic Bora Bora moments. If you want intimacy you can have a tour for two with champagne, and even a romantic dinner can be provided. On a clear night the stars shine brightly in Bora Bora. 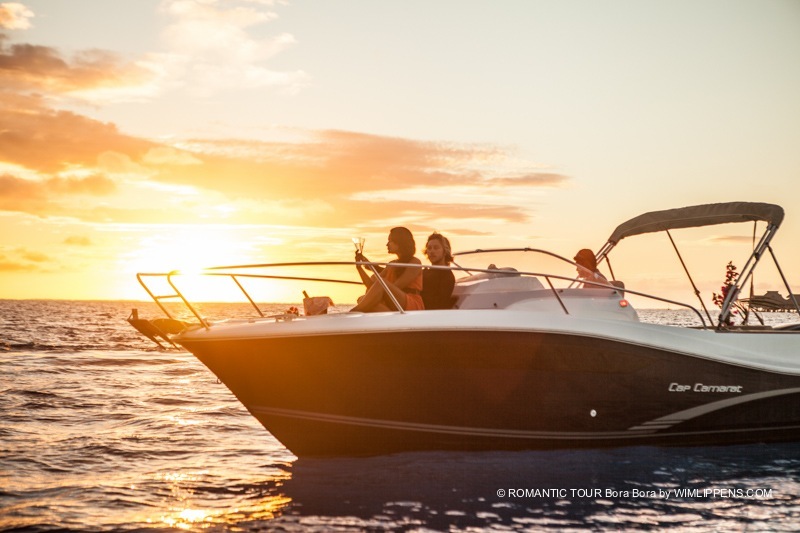 View your choice of Bora Bora sunset tours here. Staying in an over water bungalow provides you with a private piece of paradise over the Bora Bora lagoon. To make a big impression choose one with a view to magestic Mt Otemanu. Delight her by popping the question as you sip champagne on your deck, watching the sun set. The Le Meridien Bungalows provide the perfect backdrop for asking the question! Here's a more casual idea for a Bora Bora proposal. If you like simplicity, some of the resorts have hammocks in gorgeous locations on the beach. At the Pearl Beach Resort I love the one looking across an incredibly turquoise lagoon to the Valley of the Kings on Bora Bora Island. My other favorite is on it's own sandy isle, off the beach, at the Intercontinental Resort and Thalasso Spa. 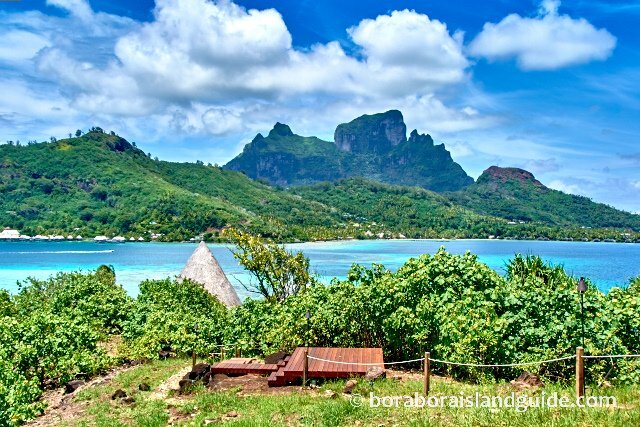 An amazing thing about the stunning beaches at most of the Bora Bora resorts is that there's usually only a few people on them, as guests laze on the decks of their over water bungalows. 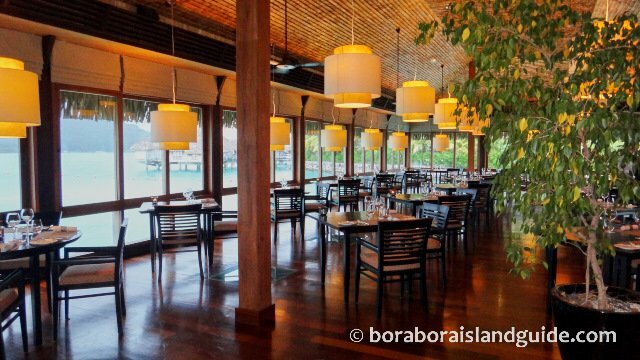 The sophisticated Lagoon Restaurant at the St Regis is the most dazzling fine-dining restaurant in Bora Bora. With a mesmerizing view to match! The outside deck would be a very romantic place to propose during cocktails or dessert. Who could say anything but yes? Take your lover on a private lagoon tour that includes a delicious lunch (with fresh island specialties) prepared especially for you, on a private motu. Linger over lunch with your feet in the water and relax on your own secluded beach overlooking the lagoon and Bora Bora Island. You will be sure to find the right moment to ask. 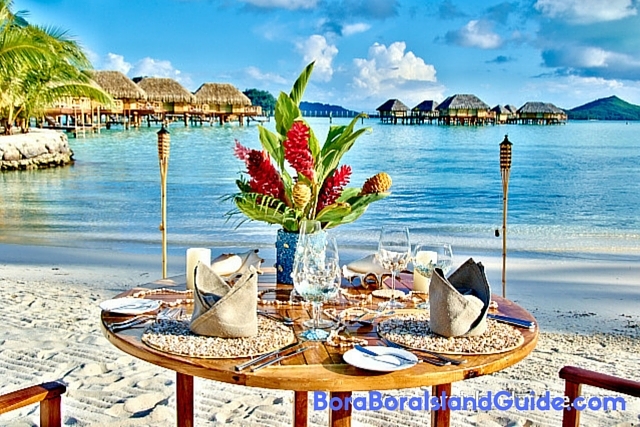 The best Bora Bora resorts are able to arrange intimate romantic moments for you, either privately in your bungalow, or in a special location around the resort. The Hilton Nui has a romantically furbished, open air, beach fare, in seclusion right on the sand, which can be booked for a private dinner. The Intercontinental Thalasso has an intimate outdoor pavilion with a grand view over the lagoon. The St Regis and Four Seasons have butlers that are dedicated to helping you with your wants and whims throughout your stay. If you would like assistance in planning tantalizing proposal ideas, we recommend contacting them prior to your arrival. The St Regis resort now has a dedicated romance butler to organize all your engagement and wedding events. She already has a reputation for delighting guests with her creativity. The Sofitel Private island has possibly the best view for a private lunch or dinner for two on the beach. The Pearl Beach resort has an intimate beach-side location for a private meal that can be especially arranged as a surprise for your loved on. 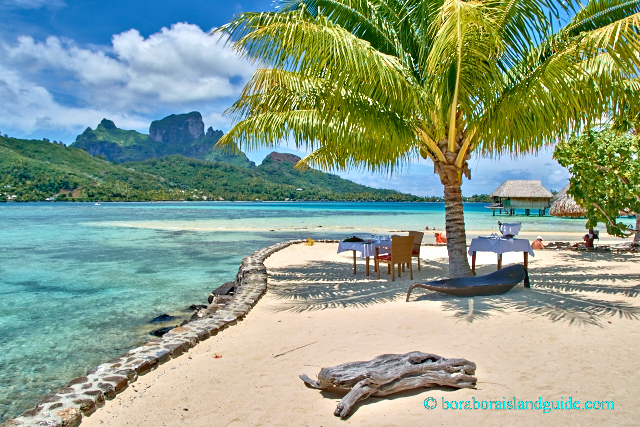 Now you have inspirational ideas for places to pop the question in Bora Bora they may influence your decision on which resort to stay at. 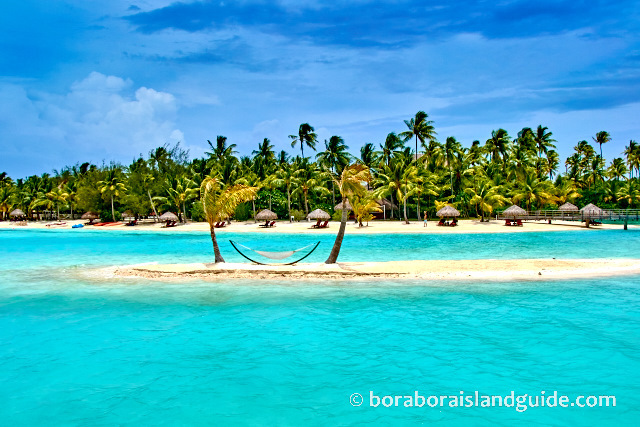 If you are planning on making your Bora Bora proposal at your resort, choose one of the luxury Bora Bora resorts. Don't let us tell you how to propose in Bora Bora. The exotic tropical infusion of lush beauty, island scents, and warm air, may create a moment of such intimacy that you look into her eyes and know it's the time. Your sincerity and spontaneity will touch her heart. If this happens we would love to hear your Bora Bora proposal story. Have a Bora Bora Proposal story? Did your lover propose to you in Bora Bora? Did you see a beautiful proposal while you were in Bora Bora or have a dream place you would like to be proposed to in Bora Bora?